4. Do you use your vehicle for both business and personal use? I loved working with RainMaker Signs. I can’t wait until I have another signage project where we can partner again. Not at all. I am proud of my company and what I offer. The graphic sometimes acts as a conversation starter. I go out of my way to park where every customer in the store I am at will see that sign before they go in and when they come out. I have my own personal billboard. I did however choose a graphic that represented me and what I want people to feel when they see my company name. I think it is important to have the image honor what you are. 8. 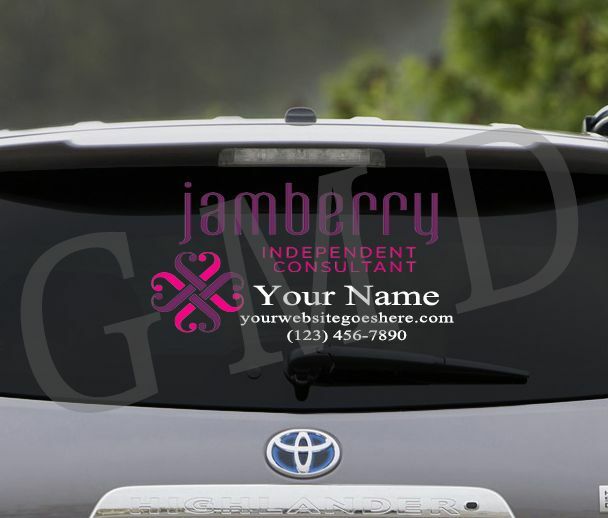 Now that you have business advertising on your vehicle do you find it embarrassing or socially awkward when you use your vehicle for personal use? Having been subjected to hundreds of Lego kits where you are expected to perfectly place the sticker on the predetermined site, I was well aware that this is a job best left to the professionals. Also if I did it myself and messed it up, it was on me. I assumed that by allowing a professional to handle it that if it was done improperly I was guaranteed a redo until it was perfect. 13. 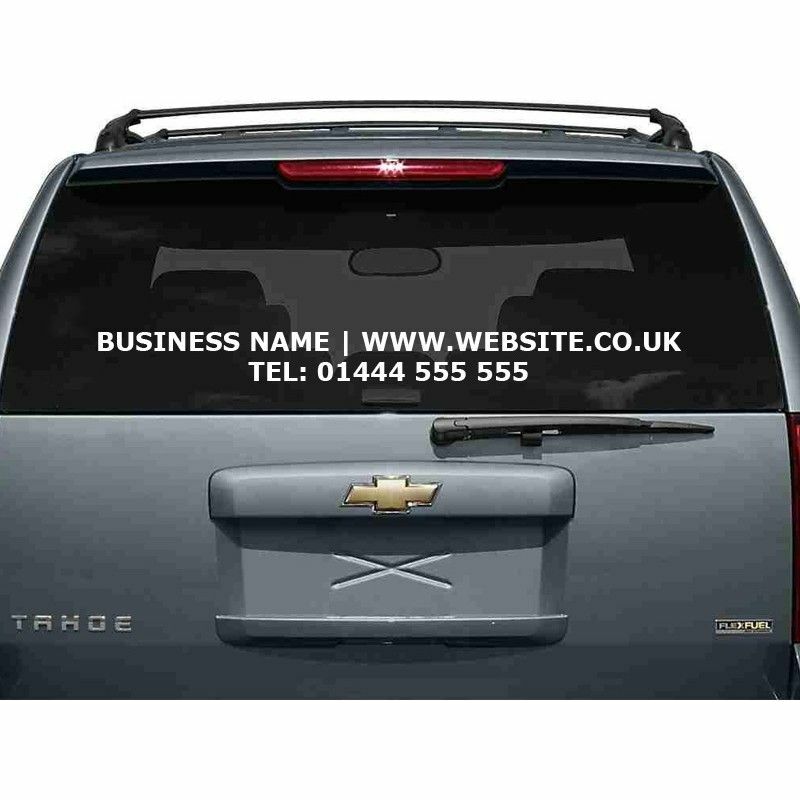 Do you have any way to know or measure if a customer contacts you because they saw your rear window signage? Thank you Jess for taking time to answer so my questions. You bring up many many good points that every small business owner or contractor should consider before, and after, installing business signs and graphics on their vehicle(s). It was a pleasure working with you and we wish you great success in your new Greensboro NC location. I’m ALWAYS “on” Every where I go, everything I do, I am representing my business. More so than typical because of the wrap. I drive differently. I park differently. I carry myself differently. And I have to have my car washed and cleaned all the damn time. I also hesitated wrapping the window even for the business use. I have to consider my clients personal lives and respect their privacy. While it is great for me to use their driveway as a billboard, they may not want me to. 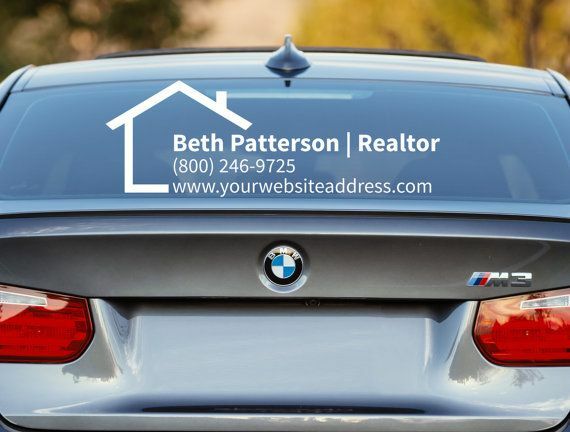 I always inform clients that I have signage on my car and ask clients if they mind having me alert the neighbors that I am organizing their home simply by being there. I offer to back into the driveway or park down the road if they want to keep the project under wraps. 6. Was your budget a big factor in your decision? In other words, if you had a larger budget would you have made a different decision? If you are interested in learning more about the benefits, process or materials of business truck or car wraps and graphics visit these related articles or our Frequently Asked Questions. Not sure what type of graphics to use? Subscribe to our blog to see our upcoming buying guide to vehicle graphics that compares the pros and cons of all your options. Budget is often the main concern in any marketing venture. In my case, I found the rear window graphic and installation very affordable. I didn’t want to wrap the entire vehicle because it is used for both business and personal use. Forming a succinct way to represent your self and your business Readability. If it is hard to read at a glance – it is too hard to read. Actually, just today I was leaving the house when a neighbor who was walking her dog saw my truck and asked “Wait, are you a professional organizer?” We chatted briefly and she asked for a few business cards to pass on to her clients who needed a hand getting organized. It was great! The decal created an impromptu networking meeting. It was effortless, informal and organic. My favorite type of meet and greet. 3. You recently relocated your business across the country – from Bellevue, WA to Greensboro, NC. Without an established network it can be challenging to develop a business. What are the primary tools you use for marketing your business? Being new to the area has been challenging. For me word of mouth has always been the best marketing resource. Happy clients are paramount to Organize with Jess. My goal is to have potential clients know about me and know where to find me when they are ready. I have run ads in local papers & on local websites. I visit several networking groups every week and I utilize Facebook a great deal in promoting and spreading my business. My rear window graphic is also a great means of advertising. I am a mobile billboard. Yes. I always track the ROI for all my marketing ventures. I keep track of the financial cost, the amount of my time it required, the number of clients that it brought in, and the money I have made from those clients. I also considered that I would have to remove and replace the magnetic signs several times. I didn’t want to risk scratching my paint. Additionally, I would need to create and maintain a storage location that would not bend, dent, ding, or rip the magnetic signs when not in use. 7. Before deciding on rear window graphics – were you worried in any way about having graphics on your vehicle when using it for personal use? RainMaker Signs recently designed, printed and managed installation of vehicle rear window graphics for Jess Trott, founder and owner of Organize with Jess, based in Greensboro, NC. As a savvy, candid and articulate small business owner, Jess generously agreed to share insights into her purchase decision. Jess’ personal experience and candid insights into the pros and cons of adding business advertising to a personal vehicle highlights important considerations any potential buyer would want to take into account. 2. When most people see a disorganized mess they want to run the other way. To deliver great service you need to be pretty confident that you can handle whatever the situation calls for. What first drew you to this type of business and where does that confidence come from? I have always been a solution based person. I am able to look past the “mess” and see not only possible solutions but the path to get there. I am first and foremost a woman who loves to help others, in whatever facet that may be. I am a problem solver, an idea enthusiast & a spitballer who likes things to be efficient, organized and exceptional. I enjoy structure and attempt to create order in every situation I enter. I am outgoing, opinionated, honest and hardworking. These natural traits have formed me into the person I am. Both personally and professionally. I would say that my confidence comes from an intrinsic sense of purpose and honor. I have a passionate elemental need to help and I feel that this shows through in my work. It is also a huge help that I love what I do. [RainMaker Signs offers professional installation service or will arrange and manage your professional installation in most cities across the country. If you feel up to the challenge of installing your own rear winow graphics be sure to visit our installation guide. Yes, I always have a strong mental image of what I want. Which often leads to disappointment when my counterpart can’t read my mind. This was not the case. The RainMaker Signs team worked with me until it was exactly like the image in my head. As I mentioned previously, I chose a graphic that represented me and what I want people to feel when they see my company name. I think it is important to have the image honor what you are. Yes 5. 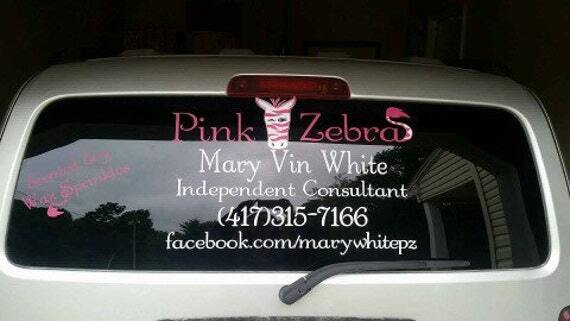 When deciding to use your vehicle to support your business marketing what other options did you consider? 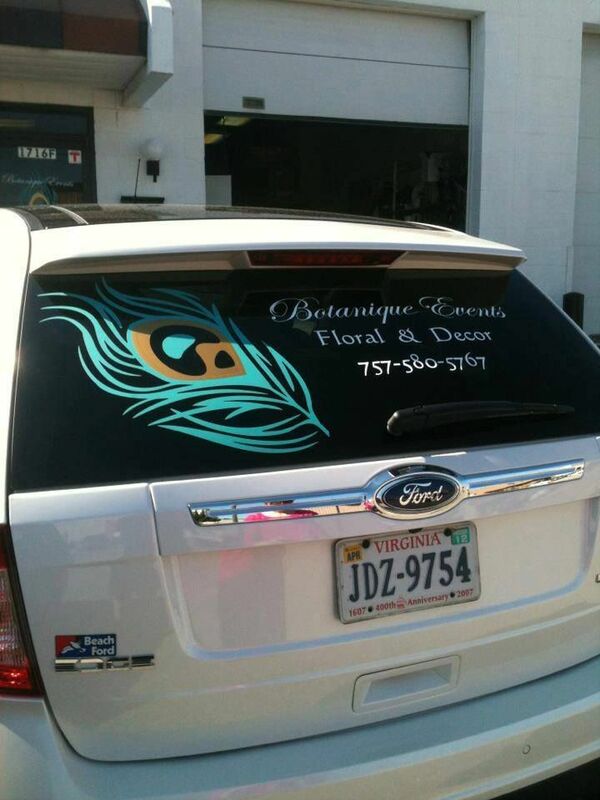 Vehicle wraps? Magnetic signs? 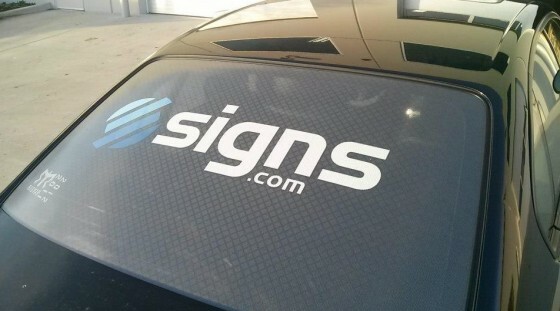 Vinyl lettering and graphics? Other? 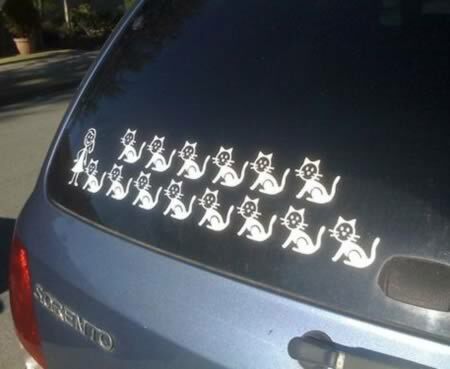 I considered all options, but quickly landed on rear window only. I would also add that the new look offers me a certain level of credibility as a professional. 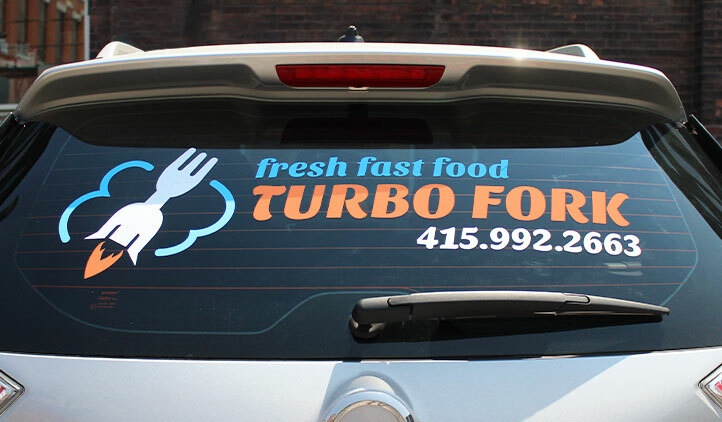 Magnetic signs are typically placed on the sides of the vehicle. I didn’t feel that they would be as visible. People passing me would merely get a glimpse verses being afforded the opportunity to really absorb the text from behind me. 12. 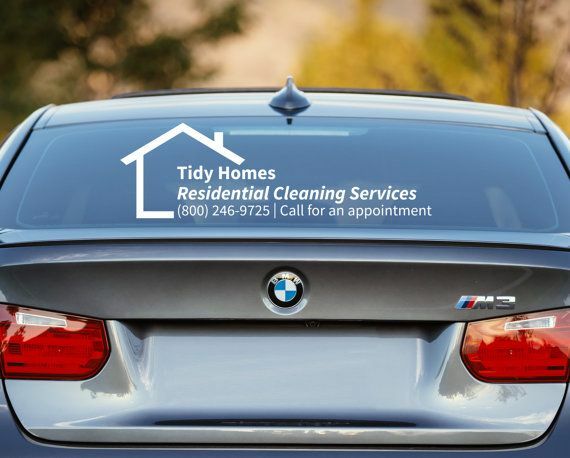 I know you haven’t had your business graphics on your car for very long, but do you think they are helping you promote and grow your business? 1. 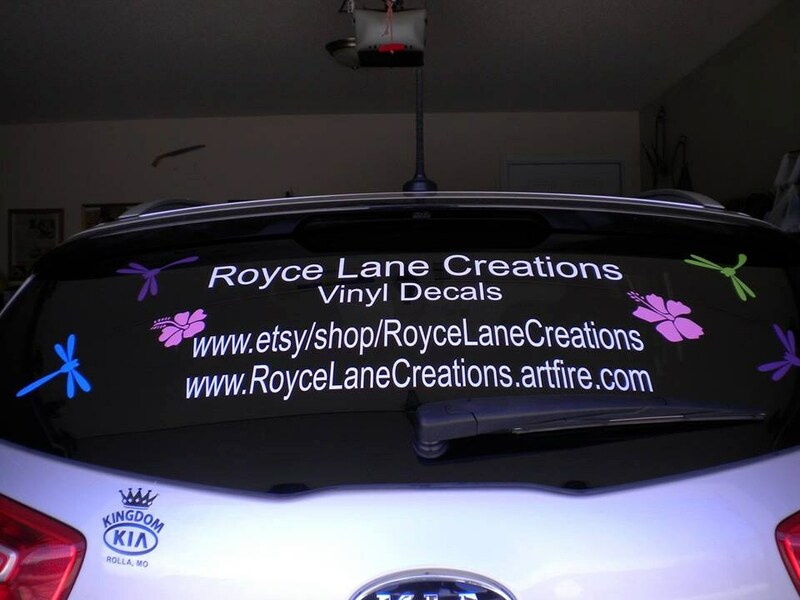 Thanks Jess for agreeing to share your insights and observations about buying rear window graphics for a vehicle you use for both business and personal use. Starting at the beginning is always good. So tell our readers about your business. Organize with Jess is devoted to helping clients take back control of their time and their lives. I get the opportunity to work with busy individuals, moms, dads and families to help them reach their personal and professional goals. I am a residential organizing & productivity consultant. I work side by side with individuals who lack the time, desire or knowledge to organize on their own. I am welcomed into clients homes in order to help them non-judgmentally reevaluate, relocate and refine their possessions to make their daily routine flow smoothly. I take away the overwhelm so that they can breath. YES!!!!! This is a huge concern. I think all your clients should consider all the implications before adding any graphics to their vehicle for a few reasons. I post daily ideas and thoughts on my Facebook page at Organize with Jess. My website hosts articles I have written in the past and offers some insight into who I am and what I do. Clients can take a quick survey to see if they would benefit from hiring an organizer, see what my process looks like and can then contact me directly if they feel we would be a good fit. 11. Did you feel certain about what information and type to design would work best for your business? 14. Were you happy with the graphics and service you received from RainMaker Signs? 10. 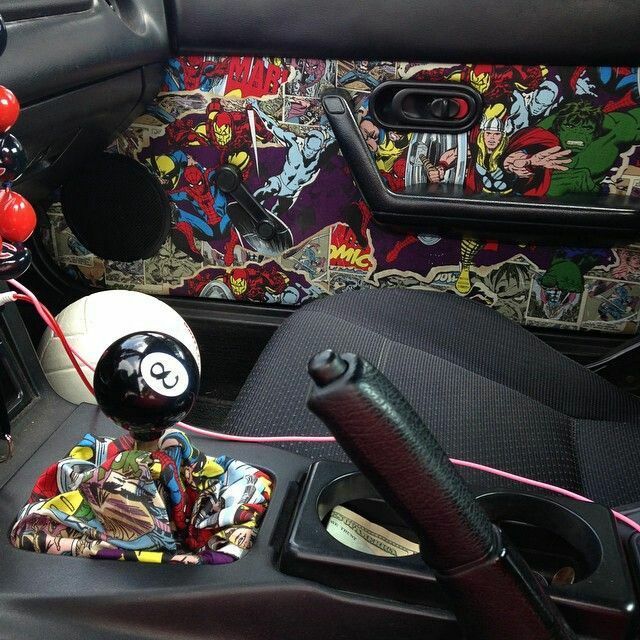 Did you ever consider installing your graphic yourself? Already know what you want? Then just give us a call at 855-806-7446 or email [email protected] We believe great visual communications make great things happen and look forward to hearing from you. 9. 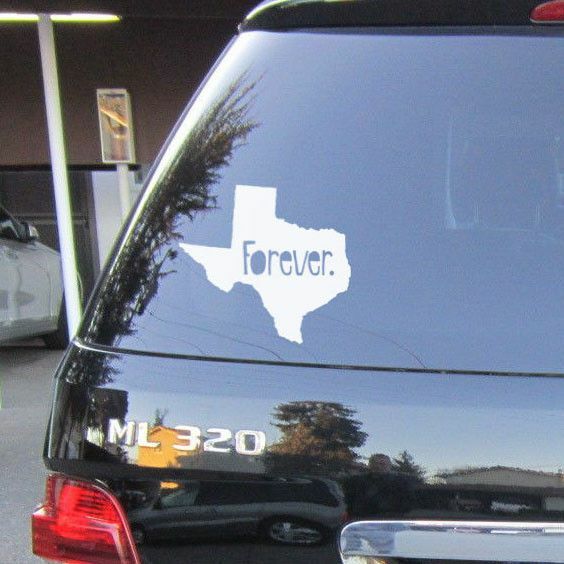 Why did you choose rear window graphics over magnetic or removable signs?